“Because the law worketh wrath: for where no law is, there is no transgression.” “Sin is not imputed when there is no law.” Rom. 4:15; 5:13. Through what is the knowledge of sin obtained? known sin, but by the law.” Rom. 3:20; 7:7. What statement shows that sin was in the world before the law was given on Mt. Sinai? “For until the law sin was in the world: but sin is not imputed when there is no law.” Rom. 5:13. NOTE.-The fact that sin was imputed before the law was given at Sinai is conclusive proof that the law existed before that event. When did sin and death enter the world? “Wherefore, as by one man [Adam] sin entered into the world, and death by sin; and so death passed upon all men, for that all have sinned.” Rom. 5:12. With what words did God admonish Cain? “If thou doest well, shalt thou not be accepted? and if thou doest not well, sin lieth at the door.” Gen. 4:7. What shows that God imputed sin to Cain? “And He said, What hast thou done? the voice of thy brother’s blood crieth unto Me from the ground. And now art thou cursed from the earth, which hath opened her mouth to receive thy brother’s blood from thy hand.” Gen. 4:10,11. What was the difference between Cain’s and Abel’s characters? “Not as Cain, who was of that wicked one; and slew his brother. And wherefore slew he him? Because his own works were evil, and his brother’s righteous.” 1 John 3:12. NOTE.-There must, therefore, have been a standard at that time by which the characters of men were weighed. That standard must have defined the difference between right and wrong, and pointed out man’s duty. But this is the province of the law of God. Hence the law of God must have existed at that time. In what condition was the world before the flood? “The earth also was corrupt before God, and the earth was filled with violence.” Gen. 6:11. “And spared not the old world, but saved Noah the eighth person, a preacher of righteousness.” 2 Peter 2:5. NOTE.-Noah must have warned the antediluvians against sin, and preached repentance and that obedience of faith which brings the life into harmony with the law of God. “The men of Sodom were wicked and sinners before the Lord exceedingly.” Gen. 13:13. What was the character of their deeds? 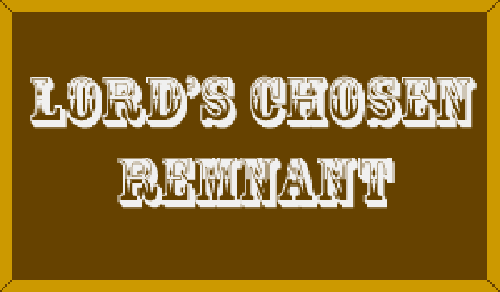 What did God say to Abraham concerning the Amorites? “In the fourth generation they [Israel] shall come hither again: for the iniquity of the Amorites is not yet full.” Gen.15:16. Of what sin were the Amorites specially guilty? “And he [Ahab] did very abominably in following idols, according to all things as did the Amorites, whom the Lord cast out before the children of Israel.” 1 Kings 21:26. Why did the Lord abhor the Canaanites? “Ye shall therefore keep all My statutes, and all My judgments, and do them: that the land, whither I bring you to dwell therein, spew you not out. And ye shall not walk in the manners of the nation, which I cast out before you: for they committed all these things, and therefore I abhorred them.” Lev. 20:22,23. NOTE.-The statement that “they committed all these things” refers to what had been previously forbidden to the Israelites. Among these things was idolatrous worship (Lev. 20:1-5), showing that the Gentiles, as well as the Jews, were amenable to the law of God, and were abhorred of God for violating it. “Because Abraham obeyed My voice, and kept My charge, My commandments, My statutes, and My laws.” Gen. 26:5. NOTE.-Then God’s commandments and laws existed in the time of Abraham. Before giving the law at Sinai, what did God say because some of the people went out to gather manna on the seventh day? Had the Lord spoken regarding the Sabbath previous to this time? “This is that which the Lord hath said, Tomorrow is the rest of the holy Sabbath.” Exo. 16:23. Before coming to Sinai, what had Moses taught Israel? “When they have a matter, they come unto me; and I judge, between one and another, and I do make them know the statutes of God, and His laws.” Exo. 18:16. NOTE.-All this shows that the law of God existed from the beginning, and was known and taught in the world before it was proclaimed at Sinai.